Just like last year, Triolight attended at the LIGHTFAIR International trade show. Together with American distributor, Organic Lighting Systems, they presented the latest innovations and product developments of the liniLED® System at booth #3671. The trade show took place from the 5th till the 7th of May 2015 in the city that never sleeps: New York. 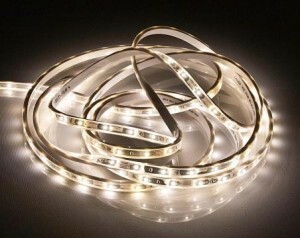 New Product Introduction: liniLED® TOP POWER 2700K and 3000K — flexible, adaptable LED striplights. Specification-grade for indoor, outdoor use. Low voltage, low heat, long-life; waterproof and dimmable. Click here to read the entire article of ledsmagazine.com.